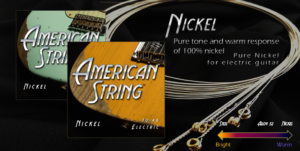 American String Nickel (pure nickel for electric guitar) – Pure tone and warm response of 100% nickel guitar string sets. 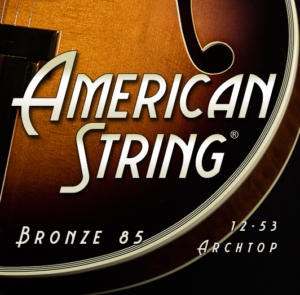 Great for any player who wants a warmer tone from any guitar. Order yours today! 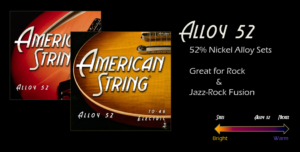 Our Alloy 52(52% nickel alloy for electric guitar) – Maximum output, harmonic response and flexibility. 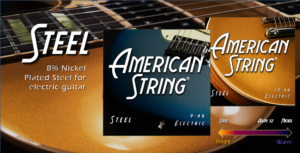 Whether you play rock or jazz-rock fusion these are the string sets for you. Order yours today! Our Steel (8% nickel plated steel for electric guitar) -More aggressive sounding and biting (with plenty of mid-range). Great for driving a bright signal through effects boxes. Order yours today!